Andres/Davidson/Hal; Book/Goldstein/Hale; Churko/Halestorm/Ho; Halestorm/Hottinger. Very Good. In very good packaging. Halestorm-Vicious by Halestorm. 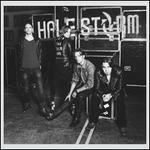 Andres/Davidson/Hal; Book/Goldstein/Hale; Churko/Halestorm/Ho; Halestorm/Hottinger. New. New. B07D57DLX4 We cannot ship expedited. Expedited orders will be auto cancelled. CD.